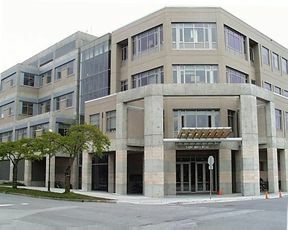 The Forest Sciences Centre (FSC) is home to the Faculty of Forestry. During the construction of the building, wood was innovatively used as the central theme to demonstrate its use in non-residential construction. The FSC has a variety of classrooms, lecture theatres, teaching laboratories, office space, computer labs, study areas, and food outlets. MECH students sometimes have lectures or tutorials in this building. Example of a medium-sized classroom in the FSC. For more information including location, building hours, and 360 degree views of the lecture theatres please visit UBC Learning Spaces.